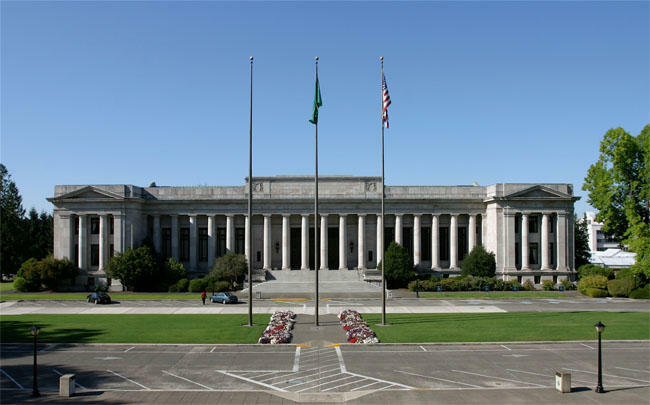 Two candidates for the Washington Supreme Court have been disqualified from appearing on the November ballot. Washington’s constitution requires that candidates for Supreme Court justice be admitted to practice law. In not one, but two cases this year, the candidates who filed to challenge sitting Supreme Court justices were disbarred lawyers. That triggered rare legal challenges to their standing as candidates. In both cases, superior court judges in Thurston County ordered their names stricken from the November ballot. Hugh Spitzer teaches state constitutional law at the University of Washington. He says the rule that disbarred lawyers can’t run for judge dates back more than a hundred years. “This fellow in 1916 said that because he’d been admitted he should be eligible to run even though he had subsequently been disbarred and the state Supreme Court called that absurd and kept him off the ballot,” Spitzer said. The two sitting justices now face no opposition in their re-election.